One of America's Top 100 Open Water Swims! 2018 Results have been posted! Thank you to everyone who participated this year! 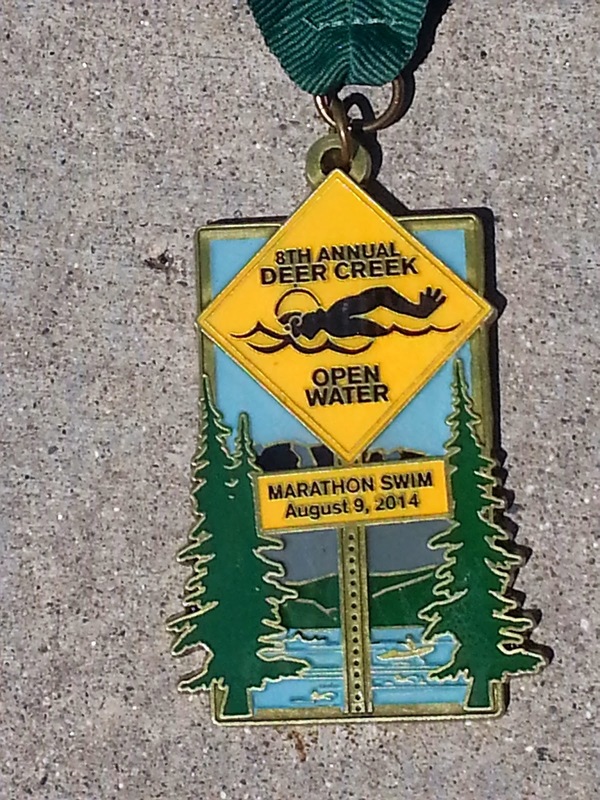 Join us for the 13th annual Deer Creek Open Water Marathon Swim on Saturday August 10, 2019 at beautiful Deer Creek Reservoir. Choose from 1 mile, 5K, 10K or 10 mile swimming distances. The 10-mile swim is one of the three swims that make up the Utah Triple Crown. The 1-mile swim is part of the Mini Triple Crown. Discounts are available on the Utah Open Water Swim Series registration page. The swim is no longer being sanctioned through United States Masters Swimming (USMS) and is now open to swimmers under the age of 18. In addition, there will be no additional one-day membership fees for non-USMS swimmers. Each swimmer must provide their own motor-less support boat (kayak, canoe, paddle board, etc) and support paddler. Check out 2014's finisher medals!